Posted 1:21 pm & filed under General. In this edition of the newsletter you will find quite a lot of information that you may need to review more closely. All of this is available on our Websites: FCHeat.org and EscondidoSoccerClub.com. We recently celebrated our 40th year as a soccer club, which in reality is a year or two over our original established date as we were knocking around trying to get kids to play soccer before we were officially recognized. However, as you can see we have developed into this wonderful ‘Hometown Style’ soccer club that puts players and families first. We have changed over the years with the help of our founding fathers, donations, professionals, sponsorship and yes, volunteers. Volunteers working hard in the engine room have kept this ship on course. They work in all positions throughout Escondido Soccer Club and FC Heat Elite. They serve on the board to help make decisions, they park cars, they face-paint, they work in the snack bar and cooking burgers, they take trips to various meetings in and around the city and they serve on committees that take charge of a particular cause. Not to mention coaching, managing, accounting, field and equipment repair and various other needed positions to not only keep us afloat, but to drive us to our next destination. This month of November we celebrate all of our volunteers and praise the time they have donated and the work they have achieved collectively. Without you all, this club would be non-existent so it is our pleasure and honor to thank all of you for what you have accomplished. With our new Website under construction our future is looking even more rosy, with a new format newsletter and sections to honor individuals from our young players to volunteers, it is something that will set us apart and one that we are all looking forward to utilizing. Thank you all for your time and efforts in making this club a success! GO ESCO AND GO HEAT! On Monday of this week I had the pleasure of watching some of our young Recreational players play in their own ‘in-house’ tournament at Ryan Park. I was truly amazed at the talent that we have. I walked around the fields smiling to myself just picturing these players in their future roles. For many, this is the first time they have played under lights and in this type of atmosphere. Parents huddled on the sideline with hot chocolate and blankets, dads and grandfathers anxiously walking up and down the sideline waiting for little Johnny to score a goal. The thunderous roar as the ball enters the net and coaches hugging one another after they go-ahead or tie the game. It is occasions like these that these young players will remember forever. You and your teams are helping create ever-lasting memories. On Saturday, November 10th at 12 noon our custom made emergency golf cart arrives at Ryan Park. With funds secured through a grant by our Director of Marketing, Michaela Krams, we were able to have exactly what we needed for on-field injuries. The cart will be equipped with emergency first aid kits and tools and has flashing amber lights on the front and back. It is faster than the average golf cart and has ample space for storage. The back seat folds down to a small bed and we have a grab bar to assist injured players. Great job Michaela in securing these funds! CONGRATULATIONS TO OUR FIRST LEAGUE CHAMPIONS! Congratulations to our first League Champions in our Girls Competitive Division. Coach Brian Blake and his G2007 Blue team became Champions of the SDDA Flight 2 Blue Division ahead of schedule – Great Job Coach, Manager and of course THE LADIES!!! For all of you who are graduating from school in 2019 this will be a new and potentially exciting adventure. A big and important step towards building your future and steps into adult life. Your concentration now should be on doing all that you can to improve and raise your grades, so you can achieve the highest possible GPA score. This will help you with being able to negotiate possible financial academic discounts with the colleges of your choice. 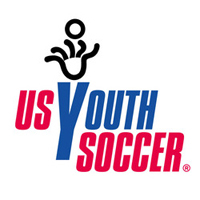 Many of you are very interested in continuing to play organized competitive level soccer. Many college coaches report that they get many players for their roster from walk-ups at their tryouts. It is worth noting that very, very few students are able to gain a soccer scholarship. Getting picked for a college roster can be hard because you will be a freshman competing with older, more experienced players, who may also be seniors. If you are going to be at a college outside Escondido then there are often good ‘pick-up’ game/teams available. If you are going to local colleges like Palomar or San Marcos and your birth year is 2001, then you would still qualify to continue playing with FC Heat. We have players this year who are currently taking advantage of this option. Your current coach will tell you when the FC Heat tryout dates and times are published. We would look forward to seeing you there. If you want or need any other information or help then please contact me. Director for College Preparation and Readiness. We would like to congratulate all of those players who were selected to tryout for our All-Star teams. This is an honor in itself, so well done! Congratulations especially to those players who were selected to play on an All-Star team – Great Job! We all look forward to seeing you play in the upcoming tournaments around the holidays. You will now be practicing under lights to prepare for these competitions. It is the next step on the soccer ladder leading to Competitive Soccer. If you have any questions regarding All-Stars please contact Angela Meyers. We will be looking to add to this total when our post season tournament play continues.